Put on your guitar strap with security and ease. 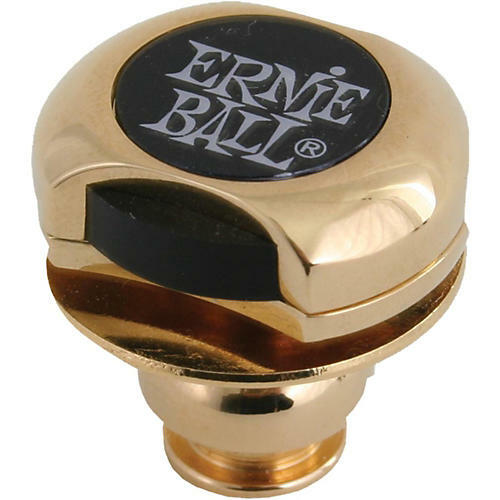 Ernie Ball Super Locks feature a push-button, quick-release design to provide a safe, complete 360-degree secure connection that keeps your guitar or other instrument close at hand. Ernie Ball mechanically engineered these guitar strap locks to ensure ultimate instrument protection. Positive locking pins ensure that the locks will not release until the buttons are completely depressed. The contoured design prevents accidental release. All Ernie Ball Super Locks are casehardened and steel-plated, making for the most robust and rust-resistant strap lock on the market. Securely fastening buttons mean that Super Locks can accommodate straps without their own locking mechanisms as well. Lock it in! Call or click now to order.